An amazing gift we carry with us at all times is the power of our breath. Breathing is a function that we subconsciously perform, continuously from the second we are born. During my recent studies and work as a psychologist, I have noticed how much our breath can help us in the most stressful and difficult times. Russ Harris, also the founder of Acceptance and Commitment Therapy states that one of the most common misbeliefs in society is that “we believe we are always meant to feel happy.” This is not actually the case, and to put it simply, life involves pain and there is no escaping it. According to Russ, with the best and most beautiful things in life comes the challenges. Mindful breathing is one simple tool we can use any place and anytime to support us and help us get through the challenges. Diaphragmatic breathing, is when we take slow, mindful inhalations with the belly expanding. We can feel the gentle rise and fall of our abdominal area as we breathe. This sends a message to our brain that adrenaline is no longer required. Gradually, we become physically more at ease and as a result can think more clearly. 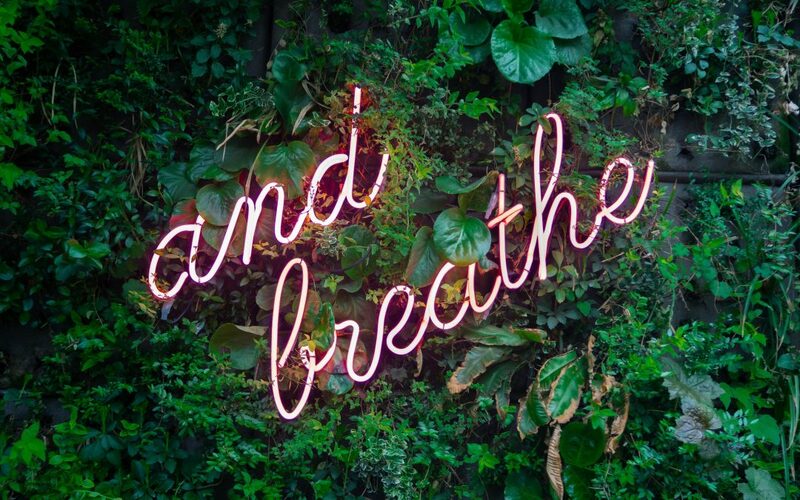 With many of my clients, we set goals to practice this breathing for 5 minutes per day. The aim of this exercise is so that this healthy breathing style eventually becomes their natural breathing rate and style, and also in times of distress and anxiety-provoking situations clients have this as a tool to use. INHALE deep into your belly and feel it expand for 1.. 2.. 3.. HOLD the inhale breath for 1.. 2.. 3..
EXHALE SLOWLY as the belly softens for 1.. 2.. 3..
REPEAT this pattern for one minute at least. Great words. I am going to put “mindful breathing” on my fridge!